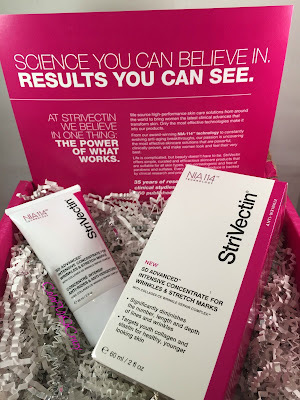 StriVectin SD Advanced Intensive Concentrate- Does it Work? StriVectin is a household name for me. I have been using this brand for ohhh so long. I am sure I have mentioned (oh about a million times) that I am a super busy mom. This time, I am not going to complain about lack of time but I am going to talk about being a mom. I have used StriVectin for stretch marks from the time I found out I was pregnant because that's just what everyone I knew did. I never knew they had a whole line out there that did other things for my skin, as well. 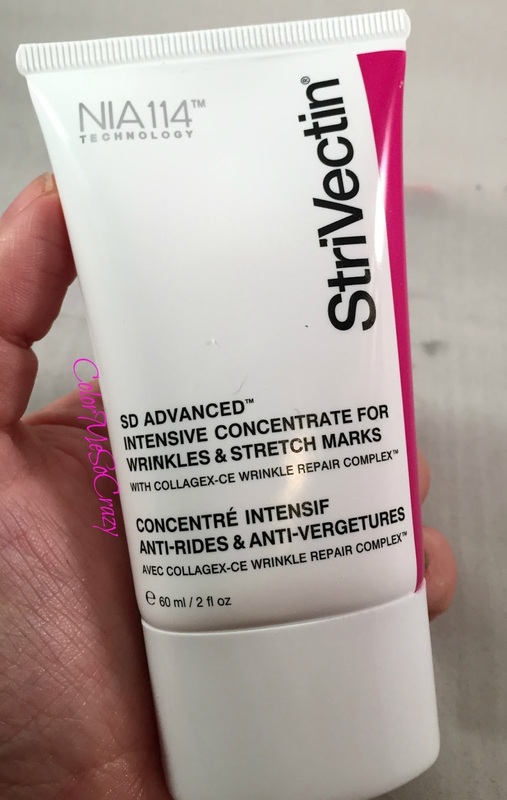 I got an opportunity to try out the SD Advanced Intensive Concentrate for Wrinkles and Stretch Marks. 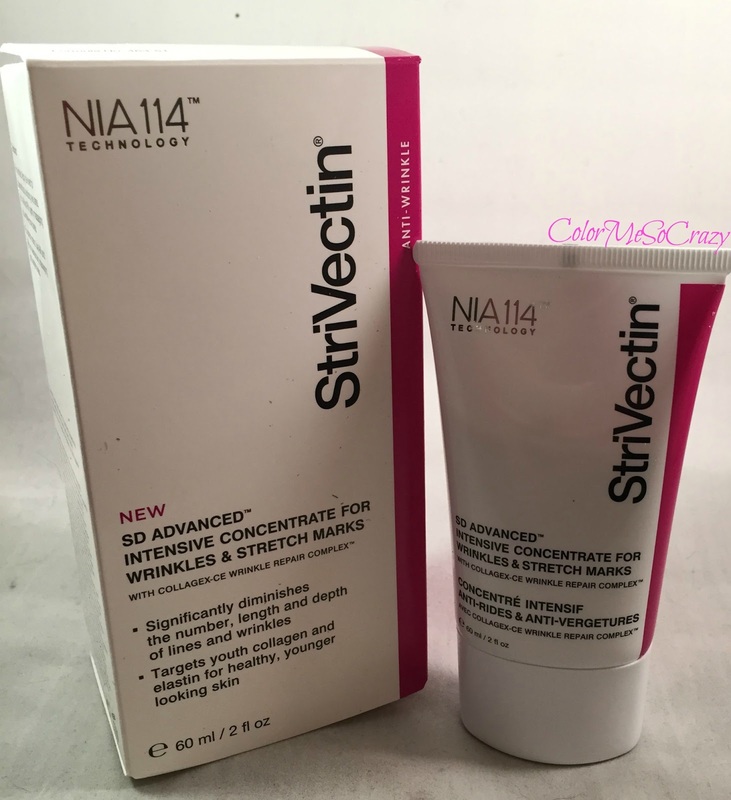 There is Collagex-CE and NIA-114 which is StriVectins own wrinkle repair complex. There is two ounces of moisturizer that targets Collagen III or what they call "youth collagen". -Strengthen the skin barrier to maximize skin performance. It definitely moisturized my skin. I noticed that my skin looked and felt more even. 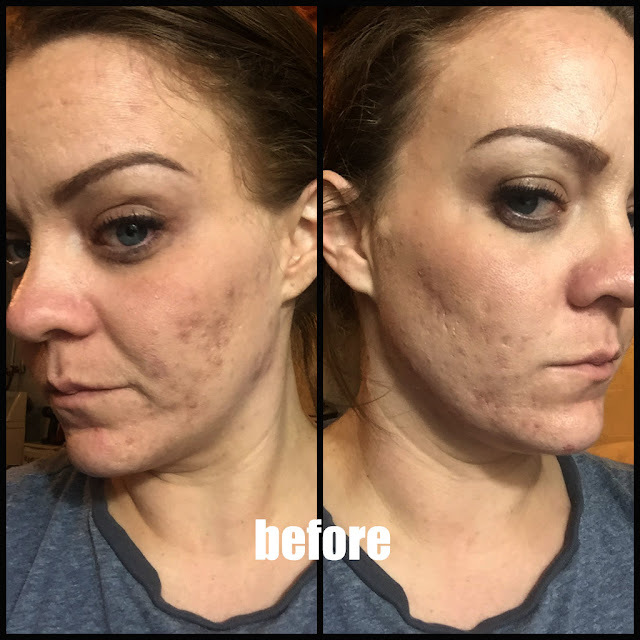 While I didn't notice a significant different in 15 days, I did notice more supple skin in about 30 days. My pores actually got smaller. I feel that my gaping pores are more of a problem then my wrinkles. I didn't expect that to be fixed but as a surprise to me, it was a nice side effect. I used this in place of my regular daily moisturizer morning and night. I definitely have noticed a difference between their old products and this. The smell, packaging and overall performance is just different. Different for the better. It's like they are taking skin care more serious and to a better level. I can't wait to see what else they come out with! Have you ever used StriVectin? If so, what are your thoughts? Have you used any of their new products with the new formulas? Have you noticed a difference?